To all those men and women out there who are single, in a LDR (long-distance relationship), widowed, divorced, etc. this is for you. I'm not single, but I am in a long distance relationship so at times, a lot of times, it feels like I'm single. The problem with this is that you have a lot of stuff to figure out on your own. You have heard me talk about my divorced parents before and with any divorce, break-ups, moves, there comes an adjustment period. There is no handbook on how to handle this period either…it is supposedly something you are just supposed to learn. I am here to give you tips that will keep you afloat, because really, do women know that the sprinkler systems need to be turned off for winter? From my experience, no. 1. Divide and Conquer, without the divide. You are on your own my friends, that divide and conquer relationship you had with your partner is gone so you are stuck with all the housekeeping duties. (Or that divide and conquer relationship never existed, so its just you, don't worry, things will get better.) This may be anything from pancake flipping to mouse killing…it's all you. You need to devise a plan of attack. What are certain things you just don't have time to worry about and what are the things that you are able to pick up? Make a list and figure it out. For example: if you are not a clean person, and don't have the time to clean, and have the financial ability to hire a cleaning service, do it. If you hate mowing the lawn or caring for the yard, hire that boy down the street. If you can't cook, those microwavable lean cuisines are pretty good, but stay away from canned meat, that is just a bad idea all in itself. You should first ask how we got the bed in this position, the answer: a screwdriver. 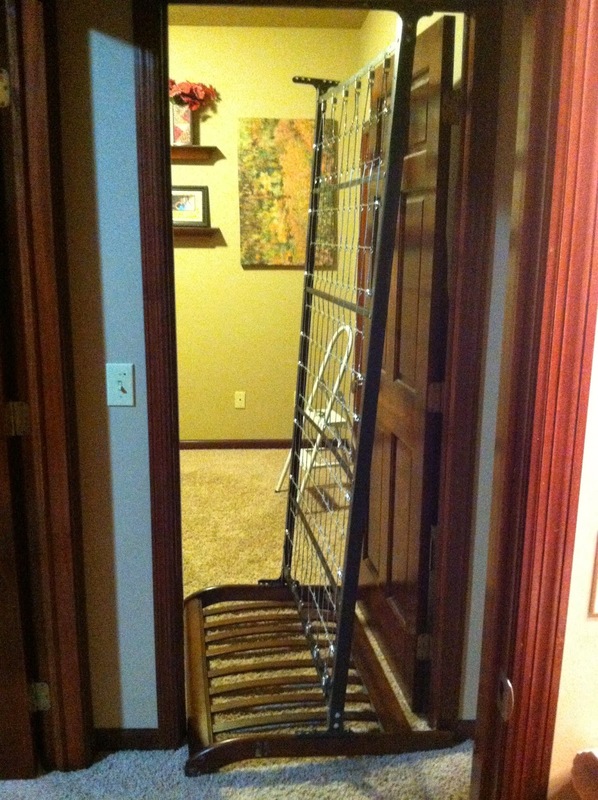 You might then ask how we got it out of this position, or un-stuck, the answer: a screwdriver. I would recommend using extreme caution with your screwdriver as you may get blisters or if you are really wild you could poke yourself in the eye…proceed with caution. 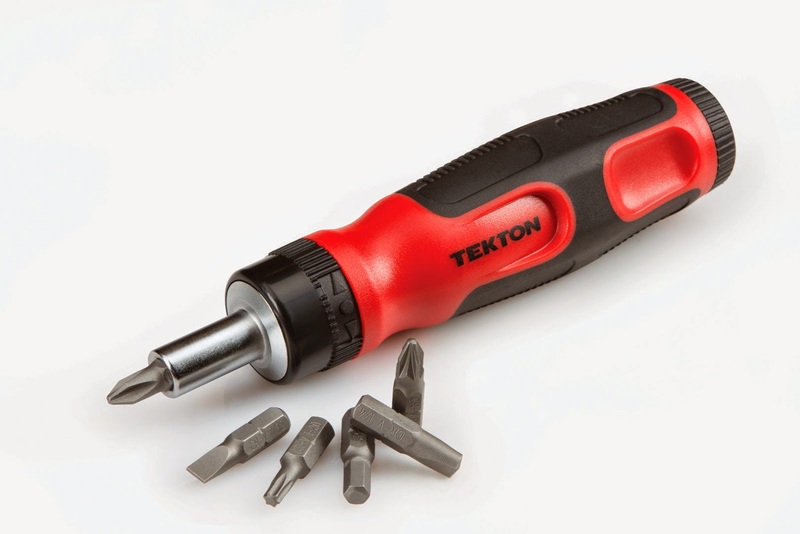 I recommend this TEKTON 2841…you won't go wrong:). Men, once again you take the gold on this one; sure, a lot of women have green thumbs and hands but you guys are pure naturals, women this is also for you. If you are renting a place or live with parents then you are set! No lawn care for you. However, if you live in a house that requires a cultured and crafted lawn, pay attention. Please note, in the midwest we have four seasons, one being the tundra (winter); sprinkler systems must be turned off. We learned this the hard way…pipes burst and broke and did all sorts of other things to do our un-intelligent outdoor brains. Another thing, there are creatures outside that also like to come inside, men are VERY good at keeping the critters away, but when they aren't there ladies, guard your loins. Traps and other nic-nacs will be useful in capturing these pests, I also recommend moth balls. Sprinkle them all over the yard; don't be gentle about it. 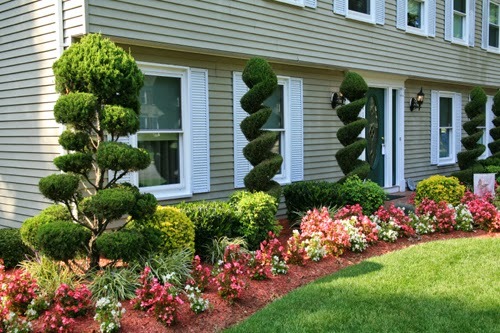 Lastly, make sure to keep a maintained yard. Most women are great at mowing and even weed-wacking, keep up the good work. If you can't do it, hire someone who can. Having a put together outside might make the inside feel a little more put together if you know what I mean. This is important because not a lot of people know how to do laundry. I will be honest, I still get calls from my sweet boyfriend asking if he can mix his blue shirt with a black one. First and foremost, you should just do your laundry. I have seen too many people that use the same bath towel over the whole course of a semester and it is nasty. I bet if we took those things to the chemistry lab and studied the microbials on it, there would indeed be tons of mold and mildew. Second thing, learn how to separate properly; this will save you a lot of time replacing clothes. Lastly, when in doubt, call your mom, you sister, your friend, your brother. Just call someone because no one likes a mildew smelling person. So many people are focused on finding the "one." This generally only happens when you stop trying so hard and just live your life. For my LDR people, same goes to you, enjoy life. 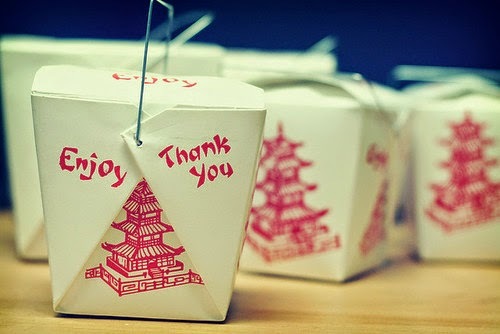 I can probably say in my relationship I have spent too much time at home wallowing and eating Chinese to fill the void. FYI, Chinese food does do a pretty good job filling this void because it smells good, its warm, and you get a fortune at the end, which in my book is equivalent to a bedtime kiss. So there you have it, just a few tips to get you along in life. I have learned all of these the hard way so I figured I should prepare my readers as best as I can. What other tips do you have for singles? Even doubles? Have a great weekend! Seize The Day Good Friends!